This October, Sean & the team are marking Breast Cancer Awareness Month by creating the ‘Pink Crush’ cocktail. It’s the perfect drink for fall with Absolut Ruby Red Grapefruit Vodka, Rekorderlig Strawberry-Lime Cider and a dash of grapefruit juice. 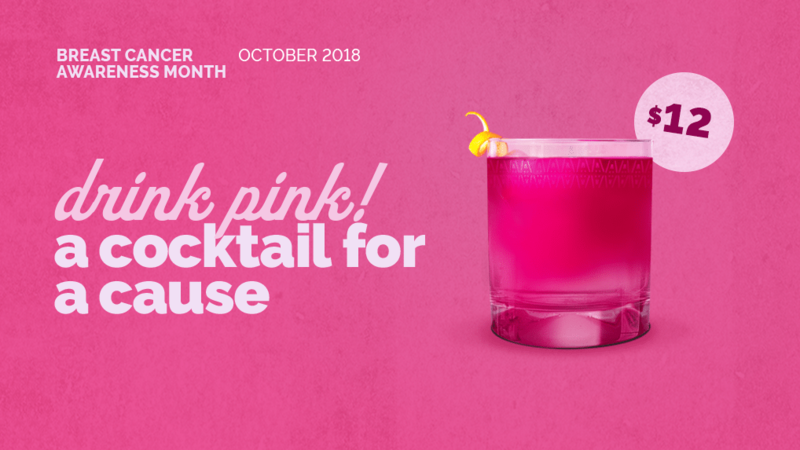 Get your Pink Crush cocktail now for $12 and support Breast Cancer Awareness.